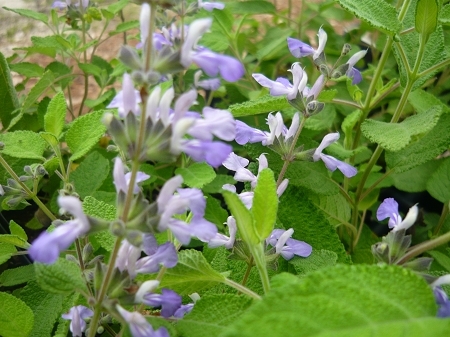 Grape Scented Salvia - Ornamental salvia variety. Small pale purple blooms have a sweet grape candy scent. Attracts butterflies and hummingbirds to the garden, ornamental variety. Very heat and drought tolerant once established. Perennial zones 9-10. Live starter plant in 3 inch container.